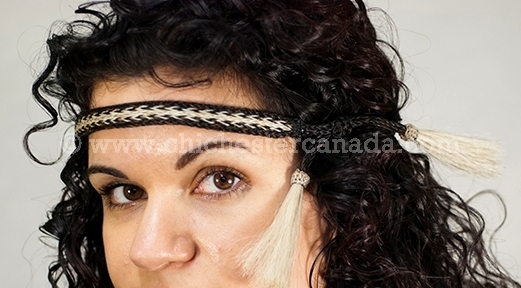 See a close up of the tassles, the weave, and a view with a model. 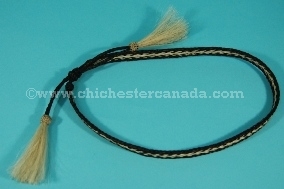 The horse hair hat bands are hand made in Cotacachi, Ecuador. 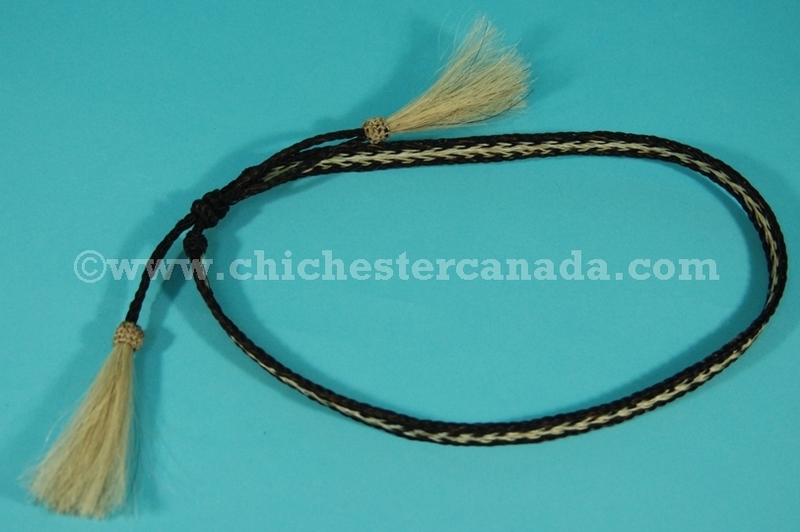 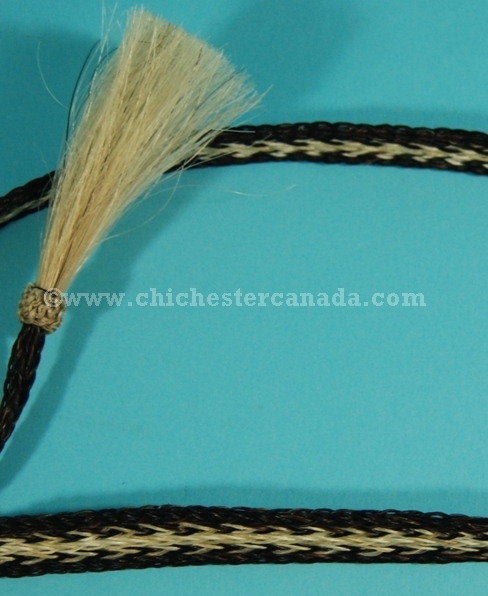 The horse hair hat band is approximately 25.5 cm long, 25.5 cm wide, the smallest interior circumference is 54.5 cm, the widest interior circumference is 68.5 cm, and weighs approximately 0.02 kg.